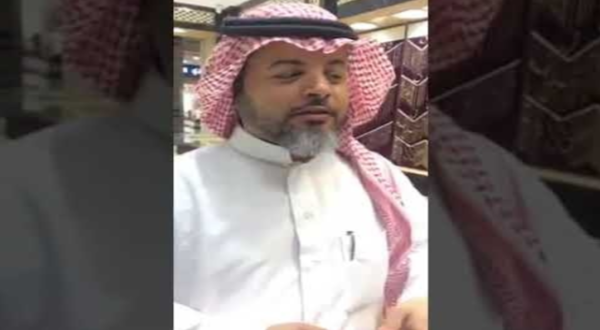 A video of an Arab national based in Saudi Arabia has gone viral, displaying the man's fluency in the Filipino language. The video was posted by Facebook page Tatay Digong garnering over 11 thousand likes and over 8.5 thousand reactions. In the video, the man is seen speaking with a Filipino fluently, and asked how he was able to speak in the manner, he said that he knew many Filipinos in the nation, hence he learned to speak the language. The man was a vendor in a jewelry shop in Ryadh. Asked if he was Filipino, he said no and added that "Matalino ako (I'm smart)." The conversation went on between the interviewee and the foreigner. Joked about where he stayed in Manila, he jokingly replied, "Sa Quiapo." He posed with the interviewee and added another humorous statement, claiming that he was more good-looking than the Filipino interviewing him. Filipinos working in Saudi Arabia and Qatar have reportedly risen in number. The Department of Labor and Employment has undertaken a supply-demand profiling of Filipino workers in Saudi Arabia and Qatar to enable those wanting to return home to find employment in the Philippines. As of April of this year, there are approximately 11 million expatriate workers in Saudi Arabia, 85 percent of them coming from eight countries, including the Philippines. Rough estimates peg the number of Filipino migrant workers in Saudi Arabia at 970,000, with around 30 percent (or some 300,000) employed as domestic workers.